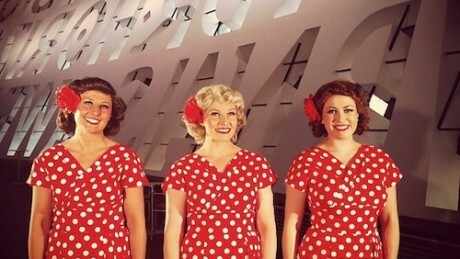 There were Three Little Sisters - One loved a Soldier, One loved a Sailor and One loved a man from the Marines. 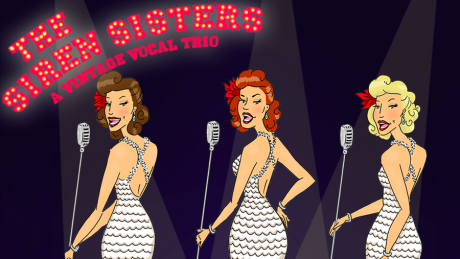 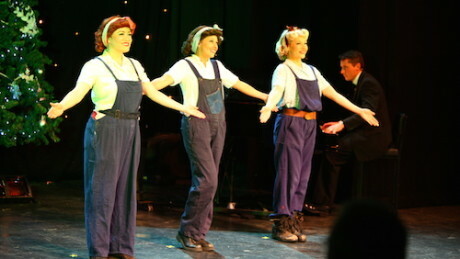 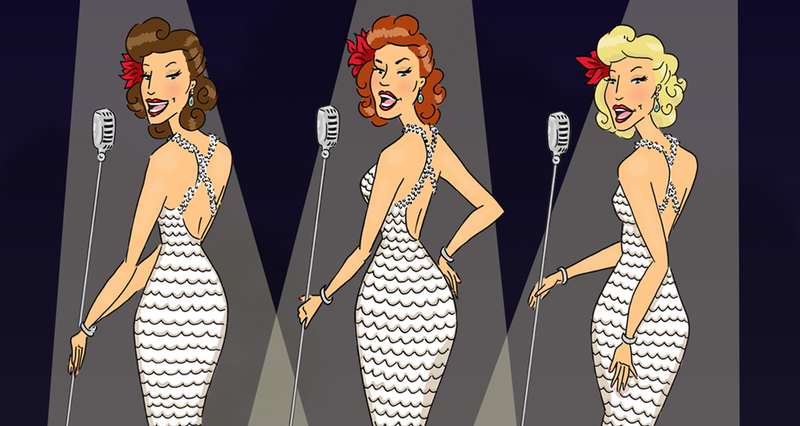 Meet The Siren Sisters, a vintage close-harmony vocal trio, who will get you singing with a swing! 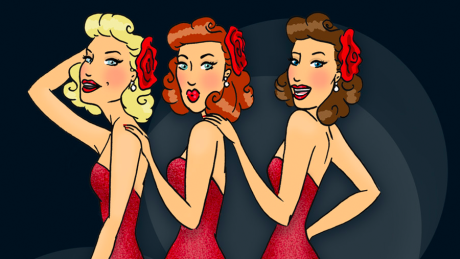 This blonde, brunette and redhead will soothe you with their tight vocal harmonies, capture your heart with their darling dresses, and dazzle you with their sparkling shoes. 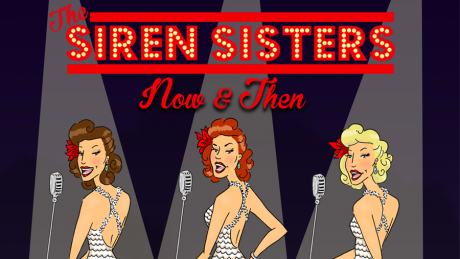 The Siren Sisters are a blonde, brunette and red head combo from Wales crooning tunes from the 40's. 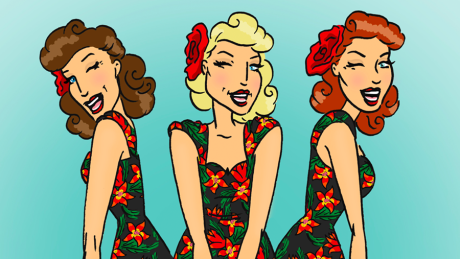 Think blue birds, white cliffs and apple blossom... 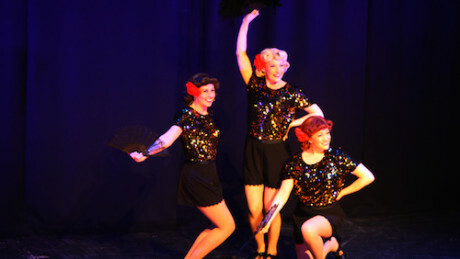 Following in the footsteps of the Andrews, Boswell and Dinning Sisters, this titillating trio will have you tapping your toes and humming along to the nostalgic tunes of yesteryear.